[prMac.com] Fremont, CA - .com Solutions Inc. today is proud to announce FmPro Migrator Developer Edition 5.35 with major enhancements to the Servoy Migration Feature. FmPro Migrator Developer Edition enables Servoy developers to realize dramatic productivity gains by re-purposing existing Microsoft Access and FileMaker Pro solutions into the Servoy development environment. A recent project containing over 1500 FileMaker layouts required less than 5 minutes of computer processing time to perform the conversion into several Servoy Eclipse projects. The FmPro to Servoy Migration Service incorporated within FmPro Migrator Developer Edition provides a fixed-price conversion service for converting Microsoft Access and FileMaker Pro database files into Servoy Eclipse projects. 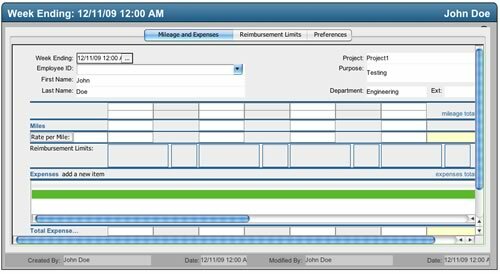 This service includes the conversion of layouts, scripts, relationships, and value lists within a predefined budget. The ability to efficiently perform FileMaker Pro to Servoy migrations makes it possible to quickly show prototypes to prospective customers. An automated migration process represents the ultimate in rapid application development, which can't be matched by any other development environment. Being able to show customers a rapid prototype may make the difference in getting approval for a new client project. * Conversion of Tab Controls - FileMaker and Access Tab Controls are converted into Servoy Tab Panels, including all embedded objects. Each Tab Panel is created as a separate Servoy subForm referenced by the Tab Panel control on the parent form. Embedded Tab Controls are migrated as well as the background color of each Tab Panel. Each individual Tab Panel object is placed onto the main Tab Control in a staggered manner for easy selection within the Servoy Eclipse IDE. * Conversion of Merge Fields - FileMaker merge fields are converted into Servoy merge fields having the same functionality. The FileMaker merge field markers are converted into Servoy merge field markers and the data provider name is changed if needed. Data provider names are prefixed with the required relationship name if the fields are located in a related table, otherwise the converted SQL compliant table name is directly used as the dataProvider. * Creation of Stored & Unstored Calculation Table Functions - FileMaker stored and unstored calculation fields are converted into Servoy datasource calculations. Unstored calculation fields are added to the Drop SQL Columns.sql report. By dropping these database columns from the SQL database, the columns become unstored calculation fields in Servoy. The FileMaker field calculations are converted into commented datasource calculation.js functions in order to serve as the starting point for further development. * Summary Field to Aggregation Conversion - FileMaker Summary fields are converted into Servoy aggregations. Summary fields are also added to the Drop SQL Columns.sql report so that the columns will not appear within the SQL database. * ToolTips Conversion - Object tooltips from Microsoft Access and FileMaker Pro objects are converted into Servoy tooltips for fields, buttons and imbedded form image objects. * Z-Order Object Stacking - Though it is not possible to extract z-order stacking info from objects on Access forms/reports or FileMaker layouts, FmPro Migrator assigns a formIndex parameter for each form object which is created within the Servoy project. This parameter is assigned in a manner which is designed to reduce the possibility of important objects like fields being hidden under objects like rectangles, images or buttons. The end result is a completed and functional Servoy form which looks almost identical to the GUI of the original database. Demo Mode - Due to the complexity associated with any database migration project, it is recommended that a small test project be completed prior to starting the full conversion project. By default, FmPro Migrator Developer Edition processes FmPro to Servoy migrations in demo mode without a license key. In Demo mode, FmPro Migrator Developer Edition will process 5 layouts and 5 scripts. Using the demo mode at no charge, enables Servoy developers to become familiar with the conversion process and see the completed layouts in the Servoy Eclipse project. FmPro Migrator Developer Edition is priced at ($200) per developer and includes a copy of FmPro Migrator Developer Edition for both MacOS X (Universal Binary) and Windows platforms. Existing FmPro Migrator Developer Edition customers may upgrade to FmPro Migrator Developer Edition 5.35 at no charge. .com Solutions Inc. develops multi-platform graphical applications supporting FileMaker Pro, Bento, SQLite, Oracle, MySQL, Access, SQL Server, Sybase, DB2, OpenBase, PostgreSQL, FrontBase, Valentina, Revolution and Servoy developers. FmPro Script Diff, compares and edits FileMaker Pro scripts. FmPro Migrator converts FileMaker Pro databases to and from FileMaker Pro, SQLite Diff compares SQLite database schema and data. FileMaker, and the FileMaker logo are trademarks or registered trademarks of FileMaker Incorporated in the U.S. and/or other countries. Servoy is a trademark of Servoy, Inc., registered in the U.S. and other countries.